Review all eligibility requirements carefully. Please only apply if you meet all requirements. Complete and submit the Brawerman Fellowship online application NO LATER THAN FEBRUARY 19, 2019. We will not consider any incomplete applications. When accessing the online application, please register as a Scholarship Applicant. 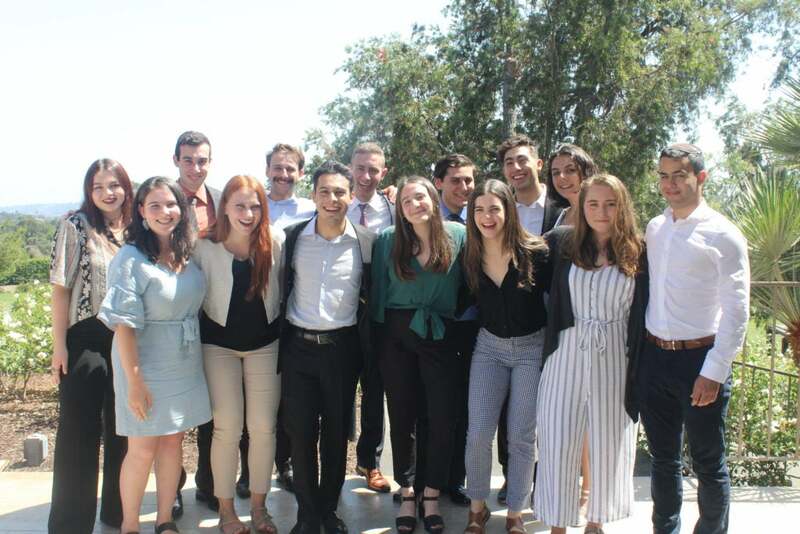 The applicant must have a record of leadership, be an active participant in community service, and have a commitment to the Jewish community of Los Angeles. The applicant must have a minimum 3.5 GPA (unweighted). The applicant must be a Jewish graduating senior who will be a freshman at an accredited four-year college/university in the 2019-2020 academic year. The applicant must be a legal resident of Los Angeles County for a minimum of three years as of September 2019. The applicant’s parent(s) must be permanent residents of Los Angeles. Detailed information (name, date, hours per week/weeks per year, position, description) for your Extracurricular School Activities, Jewish Communal Activities, Community Activities, Paid Work Experience, and Academic Awards/Honors. A copy of the 2019-2020 Cost of Attendance. The Cost of Attendance budget can be obtained from your school’s Financial Aid office or website. If the 2019-2020 budget is not available, use the 2018-2019 budget. If you are not sure what school you will be attending, submit the information for your first choice of school. A copy of your Student Aid Report (SAR), which you will receive after filing a Free Application for Federal Student Aid (FAFSA). In order to apply for this fellowship, you are required to fill out a 2019-2020 FAFASA. For more information, go to: fafsa.ed.gov. After filing your FAFSA, you may download and print a PDF version of your SAR from the FAFSA website. Please make sure that you are downloading a copy of your SAR and not a copy of your application information. In order to complete the Brawerman Fellowship application, you will need your Expected Family Contribution (EFC), which can be found on the SAR. File your FAFSA as soon as possible. You will be able to work on this application prior to filing your FAFSA. Just make sure you return to this application with the required information from your FAFSA prior to the deadline. A copy of your financial aid award letter for 2019-2020 (if available). We understand that at times you can only provide estimates in responding to certain items on the application and/or action from a school or funding source is still pending. Where this is so, include estimated figures – do not leave blank. Submit: After you have entered all of the data requested in the application, click “Submit” on the bottom of the final page. If you have any questions, please email Brawerman@JewishLA.org. In addition to filling out your online application, you must download the following supplemental material and submit your full application by FEBRUARY 19, 2019. Parents’ 2018 Income Tax Return(s). If parents are divorced, income tax forms from both parents are required. If your and your parents’ 2018 tax returns can’t be filed by the February 19th deadline, then you may submit your 2017 Federal Tax Return. If you become a Brawerman Fellow finalist, you will be required to submit your 2018 Federal Tax Return by April 8, 2019. A copy of your acceptance letter from the school that you plan to attend in the Fall of 2019 (if available). A copy of your School Financial Aid Award Notice (if available). A copy of your completed 2018-2019 Student Aid Report (SAR) (all sections). A copy of the student’s Anticipated Budget provided by the school that you plan to attend in the Fall of 2019. This can be obtained from the school’s Financial Aid Office or website. If you are not sure what school you will be attending in the fall, submit the information of your first choice of school. If the 2019-2020 budget is not available, submit the 2018-2019 budget of you first choice of school. Proof of permanent U.S. residency if born outside the United States (a copy of your green card or U.S. Passport). If some of the required material is currently unavailable (tax returns, financial aid award letters, and acceptance letters), you will be required to provide them by April 8, 2019, if you are selected as a Brawerman finalist. If you realize that you have made a mistake and submitted incorrect information in your application that you would like to amend, please e-mail Brawerman@JewishLA.org with your full name and correction. In addition to the online application, you will be required to obtain two reference letters from the following sources: one from a current/past school professional (teacher or advisor) and one from a community leader (clergy, supervisor from volunteer/work position, youth group advisor, camp director, etc.). The Letter of Reference form can be found HERE. Please provide the link to the person writing your letter of reference. If they have any questions, they can e-mail Brawerman@JewishLA.org or call (323) 761-8116. ANY REFERENCE LETTERS SUBMITTED AFTER FEBRUARY 19, 2019 WILL NOT BE ACCEPTED. You will be notified at the beginning of April if you become a Brawerman Fellow Finalist. If you are a finalist, you will be required to attend an in-person interview that will take place during the second week of April 2019. You will also be required to submit your 2018 Federal Tax Returns, financial aid award letters, and acceptance letters by April 8, 2019. Failure to do so may disqualify you.